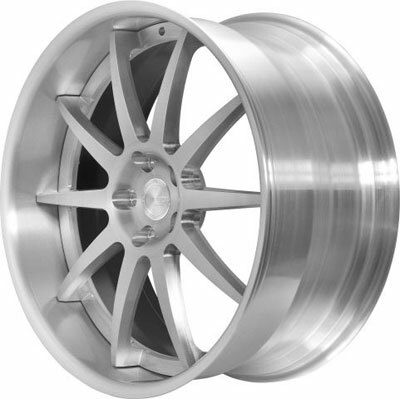 BC Racing Wheels SR 05's are now available at ModBargains with GREAT PRICES, FAST SHIPPING, and QUICK DELIVERY TIMES! Give us a call to order at 714-582-3330. The BC Racing Wheels SR 05 is a wheel meant for a specific application: big vehicles. The 22" diameter and two piece construction on the BC Racing Wheels SR 05 allow for a great look and endless possibilities for color options and fitments on your SUV or sports car. But what really stands out about this wheel is its performance aspects combined with having no compromises in its aesthetic characteristics. This wheel literally does it all. You get a great price, race quality strength and lightness, and a look that you and the rest of the world won't forget. Usually when a wheel is made to look good, the weight and strength is decreased in order to make that show quality finish happen. But BC Racing Wheels are different. The SR 05 is designed in a way that keeps it light but extremely durable. It's a CNC process called forging. And the SR 05 is CNC'd out of two solid blocks of T6061 aluminum, which guarantees huge amounts of strength. This allows for more aggressive lines and bevels to be made that may make the wheel thinner, but because the wheel is fully forged there is no worry about the structural integrity of the wheel being compromised. And there you have it, a wheel that will drop your jaw and take anything that you're willing to throw at it. The BC Racing Wheels SR 05 can come in just about any color or finish that your mind can imagine. The limitless customization you can apply to BC's wheels is what gives you car that unique look that distinguishes it from the rest. And with the help of one of our ModBargains product specialists you can order your dream wheel fitment and style in a matter of minutes. 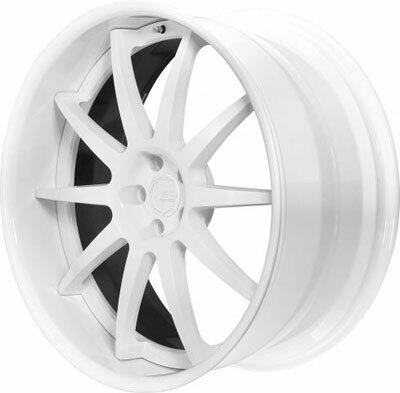 So if you're ready to grab a new set of BC Racing Wheels SR 05's, give ModBargains a call at 714-582-3330. So if you're looking for a wheel that will give you everything you want for your SUV or sports car, you've got to go with the BC Racing Wheels SR 05. With it's amazing performance aspects and unlimited customization, there is absolutely no way you can go wrong. So if you're ready to make an order or have any questions about the BC Racing Wheels SR 05's, give ModBargains a call and talk to one of our product experts for info at 714-582-3330. Buying your BC Racing Wheels from ModBargains is an excellent decision. Our product experts will ensure that you order the right fitment and wheel for your car and answer any questions that you may have with ease. We also offer the best customer service in the business, and our delivery times for wheels are quick and easy for your convenience and happiness. We offer great prices on BC Racing Wheels. If you're looking to completely deck out your ride with a new look that's light and strong, grab a set of BC Racing Wheels SR 05's at ModBargains!